Zambia took control of Group B at the 2017 COSAFA Under-17 Championships on Sunday with a hard-fought 3-2 victory over South Africa at the Stade St Francois Xavier in Port Louis, Mauritius. The result keeps them at the top of the pool with six points from their two matches, while Mozambique kept up their semifinal hopes with a 1-0 win over Madagascar. The Young Mambas are level on three points with South Africa going into Tuesday’s final round of pool matches, and must better the result of their rival when they take on the powerful Zambians. South Africa take on winless Madagascar. 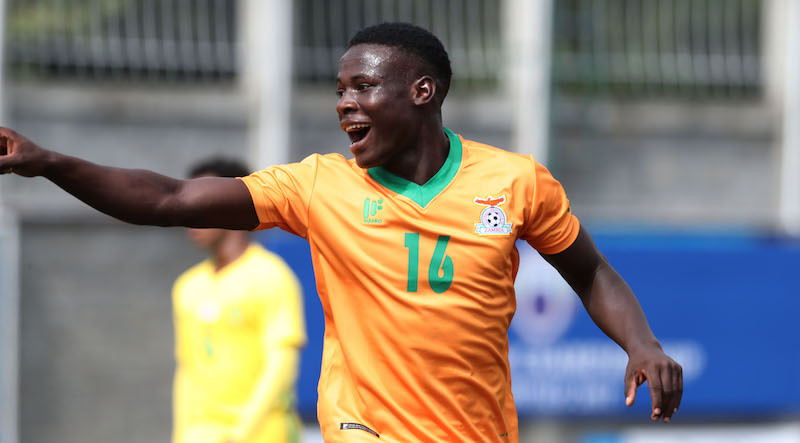 Zambia raced into a 3-0 halftime lead on Sunday, thanks to an opener from Prince Mumba and a brace by the tournament’s leading scorer, Lameck Banda. Banda now had five goals in two games and looks among the favourites to take the Golden Boot. South Africa kept fighting in the second half and netted twice in the final 10 minutes through substitute Junior Nare, but could not manage to find an equaliser at the death. “I want to commend my players for coming back after the halftime result. I believe that they lost confidence after that first goal but we manage to come back,” South Africa coach Molefi Ntseki said. “These players are just 15 years old and they really did their best under the circumstances. It was a thrilling last 10 minutes and it is unfortunate that we did not get an equaliser but we are very proud of the boys. Mozambique kept their semifinal hopes alive with a deserved 2-0 win over Madagascar. Edilson Luis and Celton Jamisse scored for the Young Mambas, who will now hope to spring a surprise against the Zambians on Tuesday. Monday’s matches see the resumption of Group A, where hosts Mauritius will look to make it two wins from two when they take on Botswana at 15h30 local times (11h30 GMT). Zimbabwe must bounce back from an opening day defeat to the hosts when they take on a formidable Malawi side in the earlier game, which kicks-off at 12h30 local time (08h30 GMT).